Matthew Nimetz, the United Nations mediator in the dispute between Athens and Skopje about the use of the name Macedonia wrapped up two days of discussions in New York with representatives of both sides on February 9 2011. Since 1999, Nimetz has been holding talks with Greece and Macedonia and has and proposed compromise names in his capacity as the UN Secretary-General’s personal envoy for the talks. UN spokesperson Martin Nesirky told reporters that the purpose of the meeting was to give the parties an opportunity to present – to Nimetz and to each other – the respective positions of their governments regarding the differences between them, the UN News Service reported. The meeting also sought to ascertain whether there are areas that should be explored further and “to determine the next steps in the process with the overall goal of reaching a speedy resolution to the name issue,” Nesirky said. Regarding the news article “Countries halt return of migrants to Greece” (Jan. 27): The Greek government is taking action to address the huge influx of illegal immigrants. A presidential decree issued in November aims to immediately and reliably examine Greece’s backlog of more than 45,000 asylum claims. In addition, all new requests for asylum will be covered by a law passed by Parliament in January. 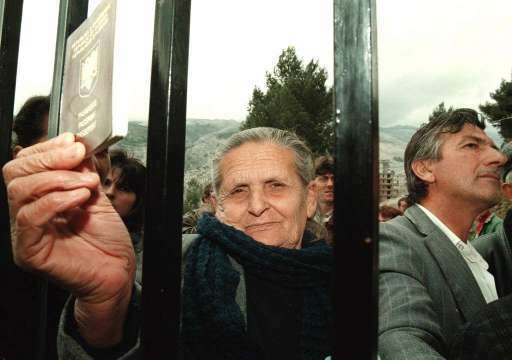 The new law establishes three institutions: A central and regional office of Asylum Services; a Refugees Authority, which will examine appeals against decisions by the Asylum Services, with the participation of U.N. staff; a First Reception Service, as well as a Mobile Reception Unit, to insure a rapid screening by experts of each new asylum application, with emphasis on medical assistance and human rights. The new law also provides for the incorporation of the E.U. directive regulating matters concerning the return of citizens of non-E.U. countries to their country of origin. But putting aside Greece’s many efforts to address this Continent-wide problem, the long-standing E.U. policy of sending refugees back to the country of entry neither helps the dire refugee crisis nor does justice to the disproportionate burden placed on Greece, both in financial and administrative terms. Mr. Obama failed to say directly that long after the fall of the Berlin Wall many of these countries were still being treated as proxies, with their leaders propped up by the West (including Hosni Mubarak). A withdrawal of U.S. support for Mr. Mubarak would hasten his demise and enable Mr. Obama to live up to the commitments he made in that speech. European Commissioner for Enlargement & Neighborhood Policy Stefan Fule’s spokesperson has said that the EU was not forcing Turkey to make a choice between the EU membership and Cyprus. Spokesperson Natasha Butler told the Anatolia news agency on Tuesday that continuation of membership negotiations between Turkey and the EU had a strategic importance both for Turkey and the EU, adding that the EU Commission was committed to Turkey’s membership process within the scope of framework agreement of 2005. Noting that Turkey, too, should be committed to EU process, Butler said that Turkey should exert more efforts to meet the criteria. Regarding Cyprus issue, Butler said that the EU Commission supported efforts for solution of Cyprus issue, stressing that Turkey’s contribution to solution was important. 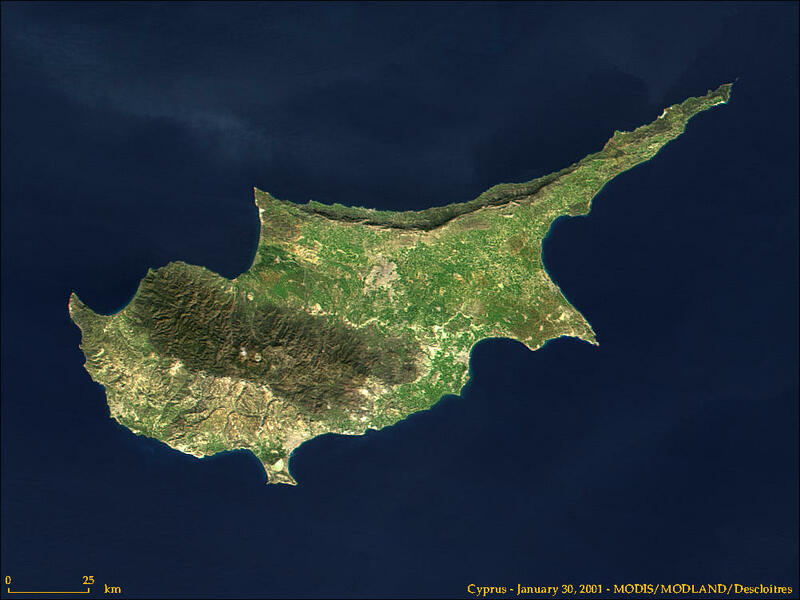 The EU was not forcing Turkey to make a choice between the EU membership and Cyprus, said Butler, adding that however, Cyprus issue had an influence on many political areas. A comprehensive solution to Cyprus problem would have positive impacts on Turkey’s accession talks, she added. Commenting on Turkish-Armenian relations, Butler said that good neighborly relations was a part of political criteria which were necessary for EU membership. Regarding the views of Turkish Prime Minister Recep Tayyip Erdoğan who said that the EU needed Turkey, Butler said that the commission was aware of the dynamism of Turkish economy and people, and it could be an important value for the EU. Turkey’s state minister and EU chief negotiator said Wednesday that Turkey had no intention of deviating from Turkey’s goal of acceding to the European Union. 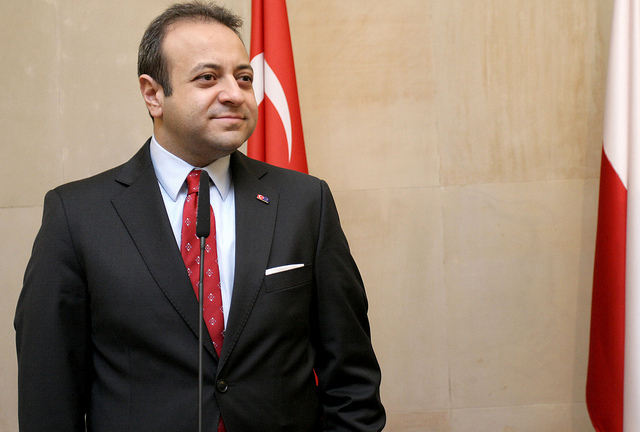 Egemen Bağış said that as a government that had opened negotiations with the EU on 13 chapters, the government had no concerns or reservations about the membership process. “We are still determined, and we do not have any deviation from our EU target,” Bağış said at a press conference in Ankara. Bağış said he had attended a ceremony to commemorate the victims of the Holocaust at the Auschwitz and Birkenau concentration camps in Poland on Tuesday and that Turkey would always raise its voice against inhuman approaches and practices like Auschwitz and continue to call for peace, tolerance and dialogue. The minister said the EU was the most important peace project in the history of humanity and defined the EU as a union of values established as an economic union in order to prevent wars by European nations which had fought with each other for centuries before then turning into a political union. “Unfortunately, today we can witness that racist mentalities that take the fascist methods of the 1930s as a model are trying to besiege the EU,” he said. Bağış said Turkey’s EU membership would be a symbol and example showing that differences could co-exist and humanity could unite around common values. Turkey is organizing different events to promote itself within the EU, Bağış said. The minister said Turkey’s contributions to Europe’s energy security could not be ignored, and Turkey was also an important country for the security of EU societies as the Turkish military was one of the most dynamic, well-equipped and largest armies within the EU zone. Bağış said EU societies had objected to Turkey’s membership because it was a large, poor and Muslim country but added that Turkey’s dimensions were an advantage for Europe because the continent now needed bigger markets today. The minister said the income per capita in Turkey was increasing more rapidly than other European countries and added that Turkey had become a perfect center for the EU and Western civilizations to communicate with cultures, societies and belief groups in the East. “We are telling the Europeans that we are not patient enough to wait for 50 more years,” he said. Bağış said the adoption of the Turkish commerce code and debts law was important for opening negotiations with the EU on five chapters. The EU will need Turkey more and more each passing day, Bağış said.